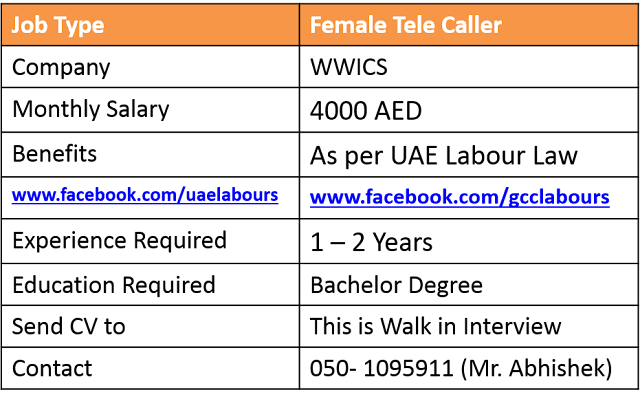 WWICS, World’s Largest Immigration, Placement and Re-settlement Group is in need of 1 Female Tele Caller on Urgent Basis. 4: Good command on English skills. 6: Computer skills are must. Interview Dates: Monday to Saturday. Interview Timings: Call above Number to book appointment. Interview Location: WWICS Ltd. # 105, BB1 Towers, Mazaya Business Avenue, Opp. Cluster I, Jumeirah Lake Towers, Dubai, UAE. Note: Please do not pay anyone for this Job, or pay on your own risk. 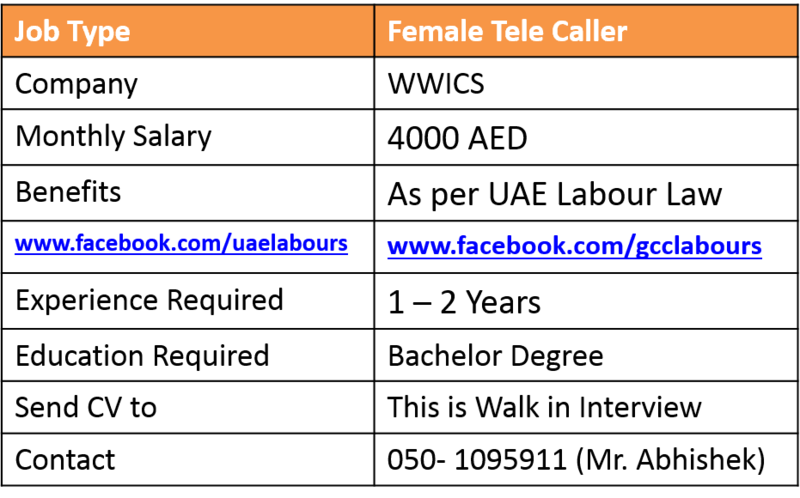 Thanks for your jobs related to call center jobs for female candidates.